As of 2017, the limits that the IRS allows you to contribute to both a traditional and a Roth IRA are the same: $5,500. However, if you are over the age of 50, you are allowed to contribute an additional $1,000 for an annual total of $6,500. Both retirement accounts benefit from tax-deferred growth as well. 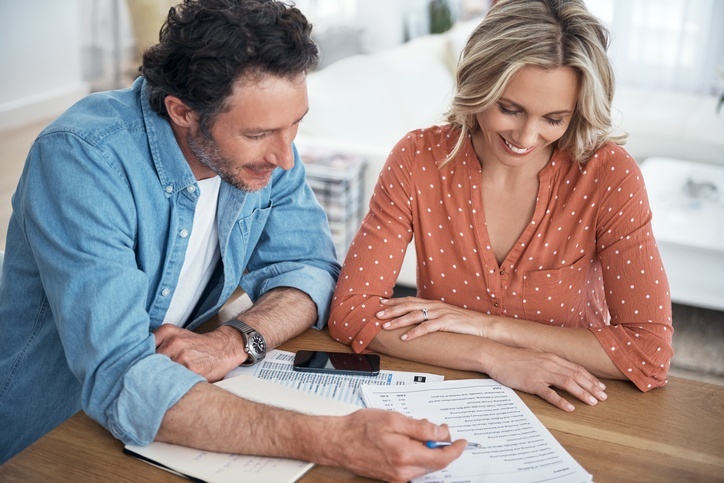 Unlike a non-retirement account, both a Roth and a traditional IRA do not require you to pay interest every year on capital gains, dividends, or interest. The funds are not accessible to you without penalty before the age of 59.5. If you withdraw from either account before this age limit, you will incur a 10% penalty. Ouch. A primary difference between the Roth and traditional IRA is that with the Roth, you reap the tax benefit when you take your money out of the account, not when you put it in. Let’s look at it this way: If you make $70,000 earned income and contribute the maximum $5,500 that year, you have already paid tax on the income you are contributing to the Roth. That is taxed money going in. When you take that money out after age 59.5, you pay no taxes on the growth that the account accrued or on any of your contributions. A traditional IRA allows you to reap a tax advantage at the time of contribution. Let’s use our $70,000-a-year income again so we can see how this will look. If you make the maximum contribution of $5,500, you are taxed on $64,500 of your income for that year. Your contribution is tax-deductible from your income. However, when you withdraw money at age 59.5 and beyond, you will owe taxes on your contributions and any growth achieved. The answer depends on where you are financially and which tax benefits would reward you the most. If you are a high-income earner and anticipate a large tax bill, the traditional IRA may be the best choice for you. You would get a tax deduction for the current year, allowing you to keep more money in your pocket. If you have a relatively long stretch of time until you are scheduled to retire and are not as focused on an income tax deduction, the Roth IRA may be the better choice. You would have time on your side for compounding growth. What’s more, not paying taxes on the Roth when you withdraw funds makes it an appealing choice. No matter which retirement tool you decide on, the traditional IRA or the Roth IRA, you can pat yourself on the back for taking action and planning for your retirement. You will thank yourself later! Contact FamilyVest today for your complimentary assessment!